Rivetz technology and services provide a safer and easier-to-use model for all users to protect their digital assets using hardware-based trusted execution technology. The device plays a critical role in automating security and enabling the controls that users need to produce high assurance data and benefit from modern services. Rivetz leverages state-of-the-art cybersecurity tools to develop a modern model for users and their devices to interact with services on the Internet. You will be working closely with Business Development, Product Management and Engineering and responsible for providing technical support for Rivetz clients. From the solutions perspective, this includes creating and delivering presentations of Rivetz products, gathering technical requirements, creating test plans and enabling solutions with Rivetz technology. 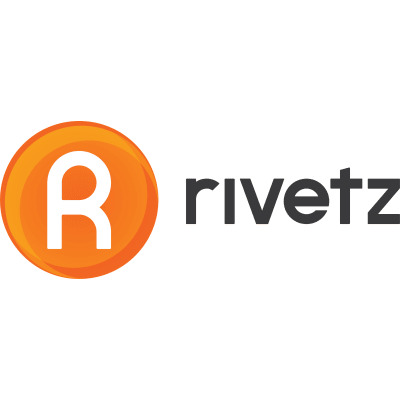 You will work closely with customers as their primary point of contact for feedback and resolution of issues and be the customers’ advocate with Rivetz support teams. You will provide feedback to Product Management on new feature requests and product enhancements from your prospect and customer base. This technically oriented position will also provide support for developers and designers who are utilizing our Software Development Kit (Toolkit) in both mobile and server-based applications. You will provide support services and incident management via email, web and telephone and face to face with client. Responsibilities include first line interaction with developers, setting and managing customer expectations, timely communication, performance and process improvement, troubleshooting, trending and resolving complex support cases. Drive the entire technical dialogue from initial customer engagement to closed sales (and in some cases through delivery and ongoing account management). Develop and Deliver technical product presentations to prospects and existing customers. Act as the customer’s focal point for all technical matters relating to requirement definition, architectural design, proof of concept implementation and deployment. Assist through release cycles in testing new features, enhancements, verify bug fixes and provide test versions to the customer when applicable. Develop sample applications that utilize the Toolkit / SDK and demonstrate possible uses. Log and track all customer issues including defects and feature requests. Participate in strategic and tactical account planning. Technologies: Trusted Computing, Global Platform, Blockchain. Tools: GitHub, Eclipse, Android Studio, AWS. Experience in developing and delivering technical/solution presentations. BSc OR MSc in Computer Science or Electrical Engineering or equivalent work experience. Excellent social skills and willingness to work in a collaborative team environment. Interest and/or experience in digital currency/blockchain/decentralization. 🏢 View all blockchain jobs at Rivetz Corp.